Is the Fujifilm X-T100 good for Sports Photography? Fujifilm X-T100 has a score of 72 for Sports Photography which makes it a GOOD candidate for this type of photography. 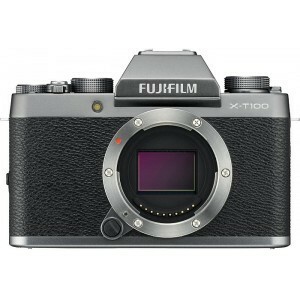 Fujifilm X-T100 will satisfy most of your needs, but if you are looking for a camera that is even better suited to Sports Photography, we recommend you to check the Alternative cameras at the bottom of this page. Fujifilm X-T100's 1/4000s shutter speed is fast enough to freeze any almost all sports action and is also helpful when you use a fast lens at largest aperture under bright sunlight. With lots of external control and a good ergonomics, Fujifilm X-T100's body is very good for sports photography. Due to the lack of sensor based Image stabilization, Fujifilm X-T100 users have to rely on lenses with optical IS in order to maximize the sharpness of their sports photography photos. Currently there are native Fujifilm X mount lenses with Image Stabilization for Fujifilm X-T100.